… art lovers! I’m sure you’ve experienced this at one time or another. You go into a store (whether brick-n-mortar or online) and find all these really cool breed-related items. Labs, Tzus, Pugs, Yorkies, German Shepherd Dogs, etc. are all represented … everything but an Apso! 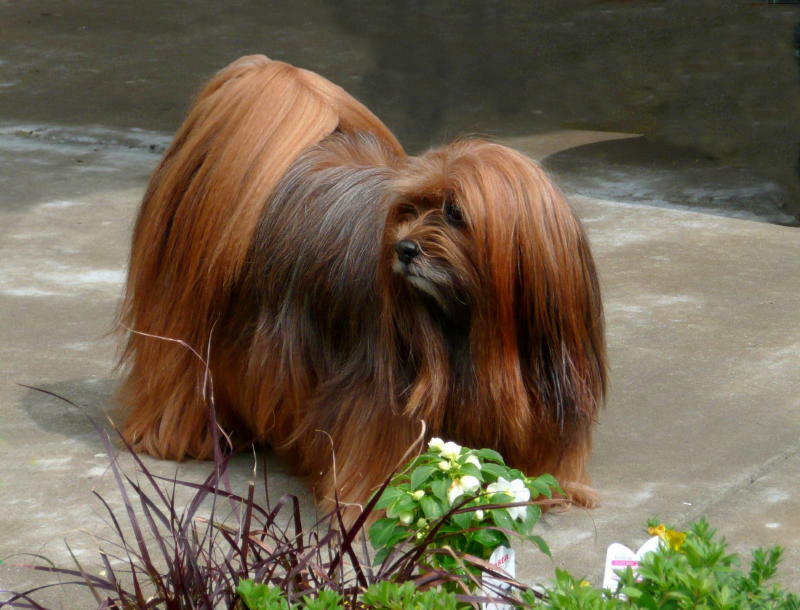 I even encounter this when shopping the myriad of vendors at the dog shows — very little in the way of my chosen breed. Karen will also do commission work for those wishing to memoralize a beloved pet. 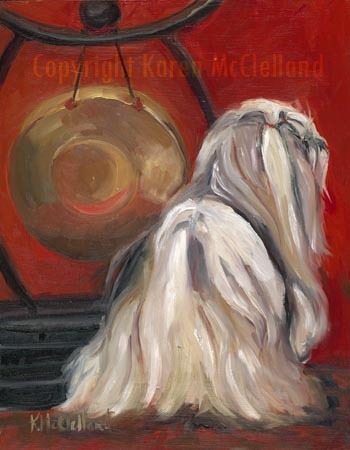 Additionally, she does quite a bit of equine art which can be seen on her blog … Karen McClelland Blog.